The Ministry of Urban Development (MoUD) has launched 4 key Flagship Missions (in June 2015), under this smart city is one of them. The motive of this mission is to provide core infrastructure and give a decent quality of life to its citizens, a clean and sustainable environment through application of ‘Smart’ Solutions. Main aim under smart city project is: focus to drive economic growth and improve the quality of life of people by enabling local area development and harnessing technology, especially technology that leads to Smart outcomes. Area-based development will transform existing areas (retrofit and redevelop), including slums, into better planned ones, thereby improving liveability of the whole City. Application of Smart Solutions will enable cities to use technology, information and data to improve urban infrastructure and services. Comprehensive development in this way will improve quality of life, create employment and enhance incomes for all, especially the poor and the disadvantaged, leading to inclusive Cities. 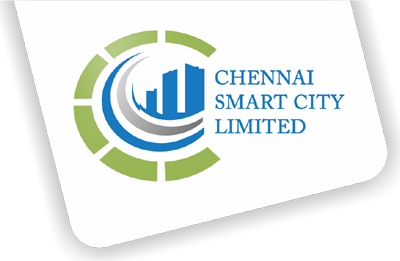 Government of India announced the 1st list of 20 Smart Cities, in which Chennai got 17th rank and was selected as one of the Smart City on 28th January 2016. Approve and sanction the projects including their technical appraisal. Execute the Smart City Proposal with complete operational freedom. Take measures to comply with the requirements of MoUD with respect to the implementation of the Smart Cities programme. Mobilize resources within timelines and take measures necessary for the mobilisation of resources. Approve and act upon the reports of a third-party Review and Monitoring Agency. Develop and benefit from inter-linkages of academic institutions and organizations. Ensure timely completion of projects according to set timelines. Undertake review of activities of the Mission including budget, implementation of projects, and preparation of SCP and co-ordination with other missions / schemes and activities of various ministries. Monitor and review quality control related matters and act upon issues arising thereof. Incorporate joint ventures and subsidiaries and enter into Public Private Partnerships as may be required for the implementation of the smart cities programme. Enter into contracts, partnerships and service delivery arrangements as may be required for the implementation of the Smart Cities Mission. Determine and collect user charges as authorised by the ULB. Collect taxes, surcharges etc. as authorised by the ULB. (15) Any other functions as delegated by the central government or state government/ ULB within the scope of smart city mission. Glory of Chennai city dates back to more than 376 years. Chennai, the first city in India to adopt and implement Non-Motorized transport (NMT) policy since September 2014 to encourage and promote pedestrianisation. Chennai city has 5275 km of water distribution mains and 3643 km of sewer network. Metro rail has been partially commissioned for 10 km reach and Cetro Transport Corporation has a fleet of more than 4000 buses. 100 MLD desalination plant is added as an alternative reliable water source. Mobile based application “waste bin clearance monitoring system with GIS based interface to check the status of bins and GIS based vehicle monitoring system are in place since 2013. Chennai is hailed as one of the safest places to live, especially for women. Tamiil nadu Police Citizen Portal has a link to launch a complaint, citizens can also track their complaints. GPS mounted patrol vehicles have been deployed. To monitor city surveillance. Unscheduled power outages has reduced from 6,290 hrs to 4,677 hrs in 2014. Average response time for power outage in HT supply failure – 1 hr, consumer service connection-3 hrs and failure of distribution transformer is 24 hrs.